PETALING JAYA: The Sarawak government should look into unresolved problems that have cropped up from the building of Bakun dam first before moving on to another mega dam project, says state PKR chairman Baru Bian. According to the Ba Kelalan assemblyman, if such problems remain unresolved, the state government would not have the backing of Sarawakians for the Trusam dam project it is about to embark on. “Issues related to Bakun should have been thought through and resolved immediately. If not resolved, the government will lose the confidence of the people in building another one,” he said, calling for such problems to be solved immediately when they arise. The Bakun dam project, which was completed in 2011, had seen those living around the area resettled to Sungai Asap. But after almost two decades since the resettlement, the villagers are still complaining of poor living conditions. These problems concerning farmland, housing, unpaid compensation, roads, telecommunication and job opportunities, have been widely reported but have yet to be resolved. 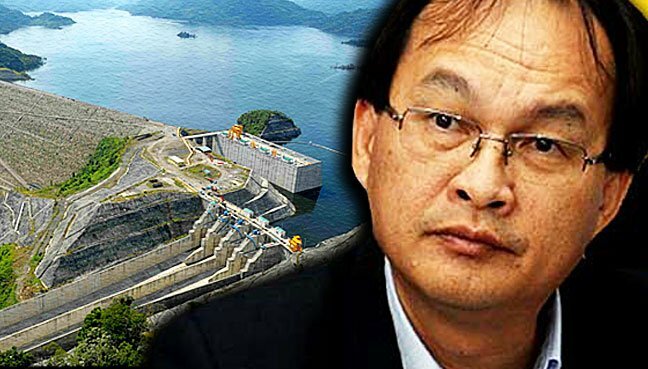 Meanwhile, in a statement yesterday, Baru questioned the Sarawak government’s go ahead for the Trusam dam, saying it came as a surprise to many, including the Sarawak Energy Bhd (SEB) chairman Abdul Hamed Sapawi. 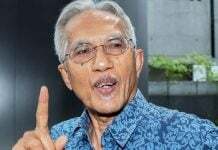 “We did not expect that the government would still plan to build more dams, especially since its previous policy was not to pursue any more dam-building now that Sarawak has Bakun dam,” he said. He also pointed to statements made in the past by former chief minister, the late Adenan Satem. According to Baru, Adenan had assured that the state would not be building any more mega dams. He then recalled a statement by then state minister of public utilities, Awang Tengah Ali Hasan, in a 2014 state assembly sitting, which stated that both Lawas and Trusan 2 dams were still in the feasibility study state. But when these two projects reached “the next stage, full Social and Environmental Impact Assessment (SEIA) will be conducted”, Awang had said, according to Baru. 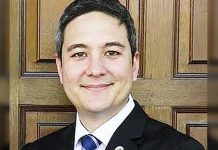 “But to my surprise, I read yesterday that SEB chairman Hamid Sepawi had said that the feasibility studies for the Trusan Dam were completed four years ago. “I would be interested to know what the actual situation is with regard to how the decision was made to build the dam, and what sort of studies had been done in the past. “When even the Chairman of SEB expresses surprise, one wonders whether it was a decision made on impulse without consulting other stakeholders and experts,” Baru told FMT. He added in the event that the project is to go ahead, then the government must ensure proper and thorough surveys are carried out, including the Environmental Impact Assessment (EIA) and SEIA. He also called for members of the public who would be affected by these projects to be consulted. “Where there are native customary rights (NCR) claims, the government must assure the people that they will be properly compensated. He then pointed to the resettlement areas of the Bakun dam, and reiterated that the displaced people have been complaining of “unkept promises”. “Many are unhappy with their new lives. The government needs to do better in looking after the interests of our rural communities,” Baru said.